Telinc Corporation designs, develops, manufactures and markets Wide Area Network access products and communications test equipment. Telinc sells its T1 Tester, DS3 Tester, DS1 Tester, Data Link Simulator and Satellite Simulator products through a global network of resellers, distributors, system integrators, manufacturers representatives and agents. 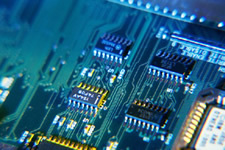 Telinc welcomes inquiries on custom products, engineered to meet specific customer requirements.